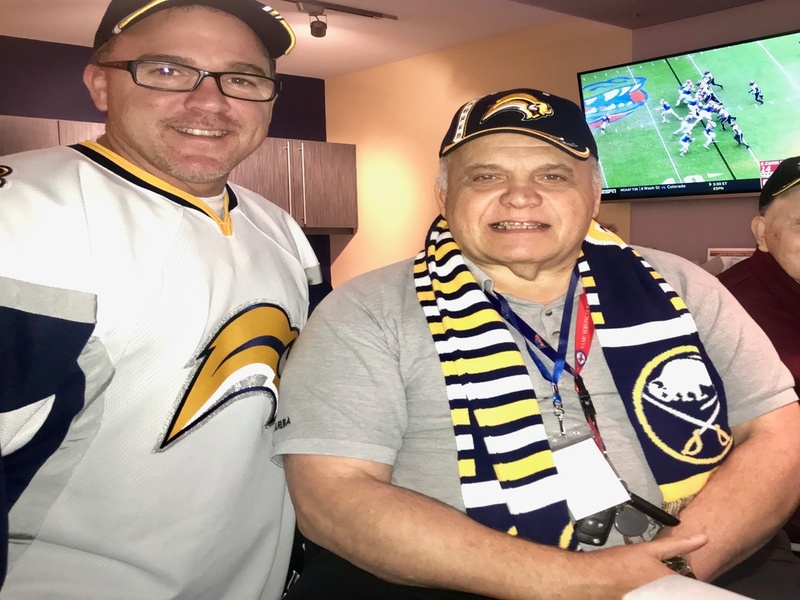 A Week of Veteran's Wishes includes a Sabres Game! In 2018, we began "A Week of Veteran's Wishes" to honor those who have served our country. 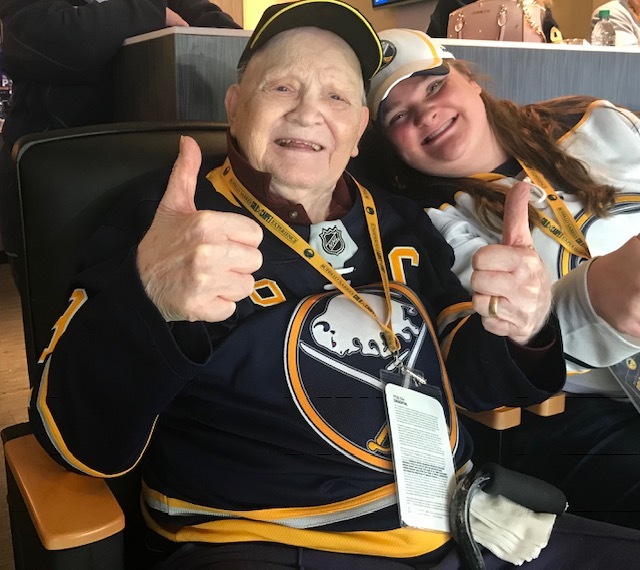 One highlight was the opportunity to attend a Sabres game for four special seniors, including a WWII Navy Veteran. 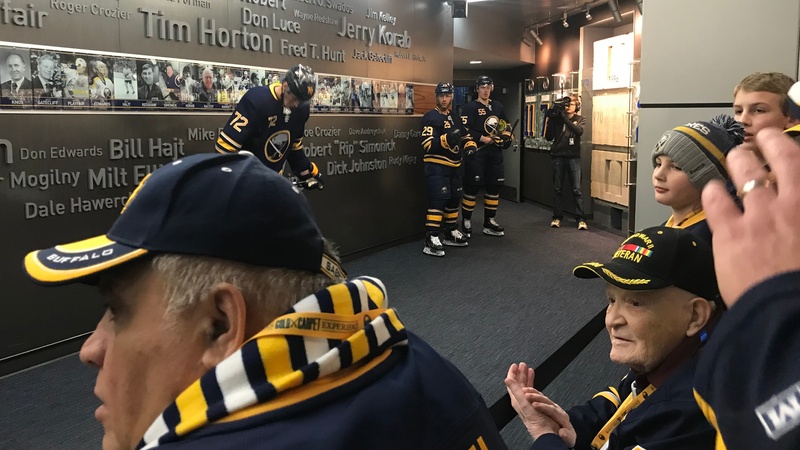 We thank the Buffalo Sabres for helping to make this a special day for these men. 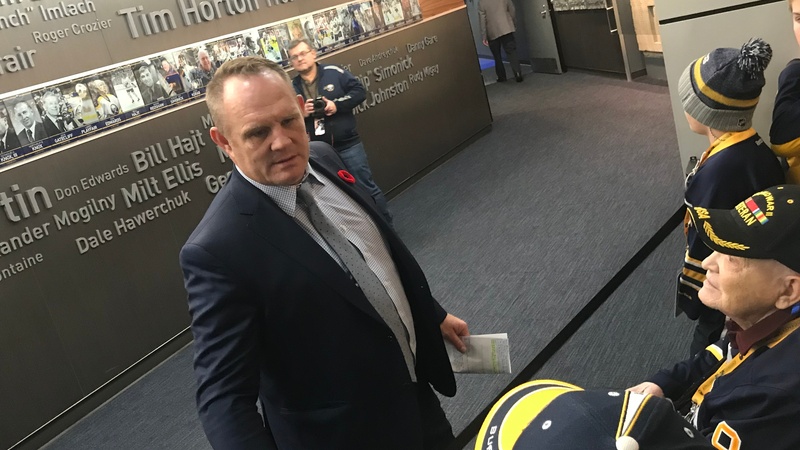 They enjoyed their jerseys, the opportunity to watch the playes warm up and a special visit by Danny Gare to the suite! 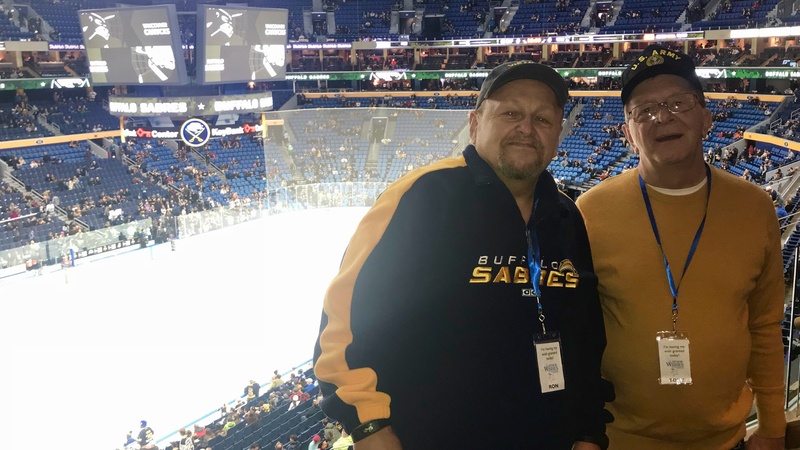 For some of the men, it was their first opportunity to attend a Sabres game! Thank you to Stephen, Andrew, Ronald and Tony for your service and we are thankful we could grant your wishes to attend a Sabres game!